Another weekend of fairly strong SW winds made fishing Chesil uncomfortable at best. There was a few fish that came from there, mostly Smoothounds and a few Mackerel. Most anglers opted to fish some of the more sheltered marks. 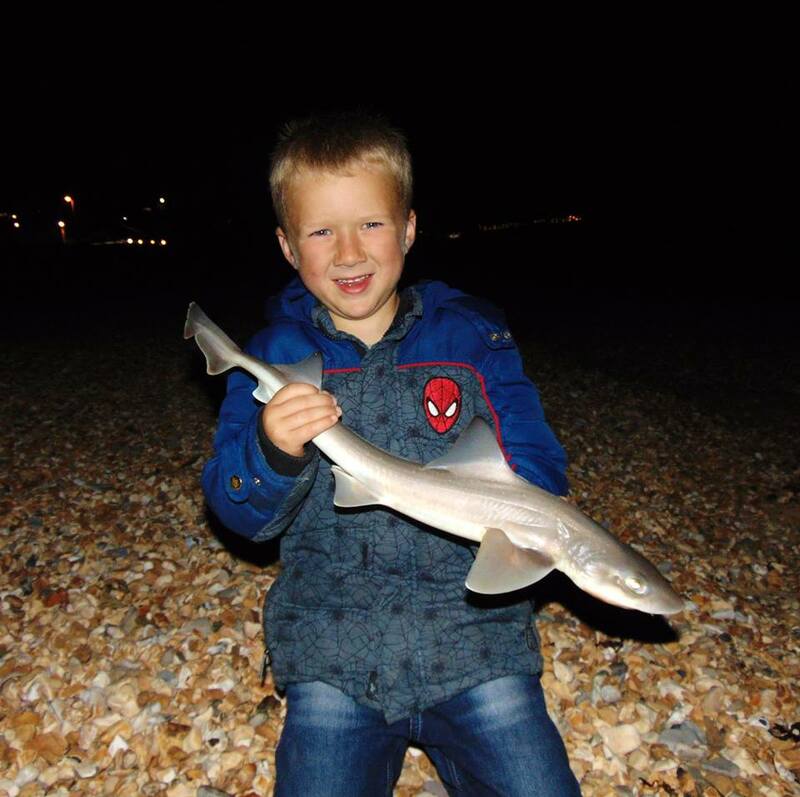 Ollie Mears decided to fish West Bay harbour and landed several Flounder and a specimen Thin Lipped Mullet. One mark that I continually comment on as being highly underrated, has once again proved that it should not be ignored. Preston Beach at the far end of Weymouth Bay is so often overlooked by anglers focusing on Chesil. It is a safe beach that offers plenty of shelter in strong South Westerly gales. 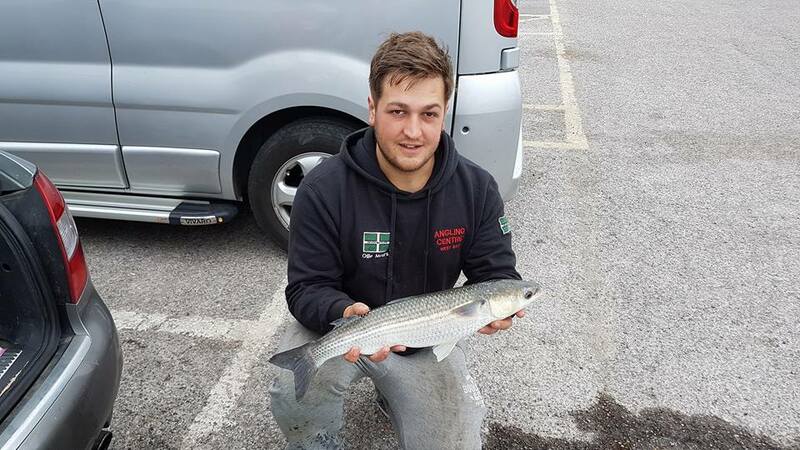 Danny Hardwick took his young lads fishing on Preston yesterday. They went in search of some tiddlers to keep the kids amused. They had a steady run of Wrasse all day, then as darkness fell the Smoothounds and Schoolie Bass turned up. 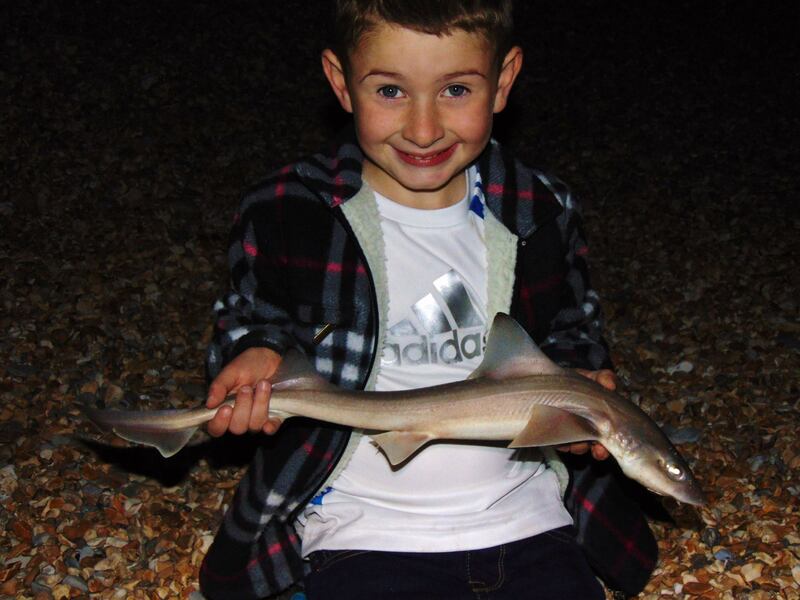 It is great to see huge smiles on youngsters faces, when they catch fish. I want to say a huge thanks to everyone that has subscribed to our YouTube Channel over the past few days. We are just 42 short of the 1000 subscribers goal we have set ourselves. We are hoping to run our first live fishing show on YouTube on Thursday evening at 8pm. We just need to sort out a couple of technical issues, but we will let everyone know when it will happen. Portland: 2m Swell with lightly coloured water. Chesil Beach forecast: I don’t see too many people getting out and fishing Chesil today. However the wind looks pretty good up until Friday, so there should be plenty of opportunity to get out for some Mackerel and Smoothound. With the water carrying a bit of colour it may well produce a Ray or two. Use fish baits for the best chance of getting one. Portland: The swell needs to drop off a bit before the Wrasse will happily feed again. Once they do they do, the fishing will be hectic. Expect bites within seconds, especially if you are using Ragworm. We may see some Pollock, but they really prefer more settled and clear conditions.I would opt for Church Ope Cove as one of the top marks on the Island this week. You can often pick up Garfish in the bay as well as the odd Bass. Portland Harbour: Still no sign of any Gilthead Bream and the Bass fishing has gone a bit quite within the harbour. I spoke to a diver over the weekend and he tells me that he has seen large numbers of Flounder and even a couple of Thornback Ray around Hamme Beach, all within casting distance. Weymouth Bay: As I mentioned earlier, Preston is not a mark to overlook if you fancy a session with a good chance of a mixed bag of species. It can produce all sorts of Rays, Bream, Gurnard, Smoothound and Bass, as well as Wrasse and Mackerel. Don’t forget the piers. If there are Flounder in Portland Harbour, you can bet there are some in Weymouth harbour. You have the added advantage of targeting Wrasse, Pollock, Garfish and Mackerel from the piers during the day. 2 Responses to "A tough weekend"
The harbour has gone quiet. I fished very early Monday morning without so much as a take. To say i was surprised is an understatement ! And then i saw it….A seal happily patrolling up and down. It did make me smile though and was nice to see.